Shadow of the Tomb Raider (game, 2018). An action-adventure video game by Square-Enix. Developed by Eidos-Montréal, Crystal Dynamics, Nixxes software, Square Enix, Tomb Raider. Official Trailer. Shadow of the Tomb Raider is an action-adventure video game by Square-Enix, developed by Crystal Dynamics, Nixxes software, Eidos-Montréal, Square Enix and Tomb Raider. 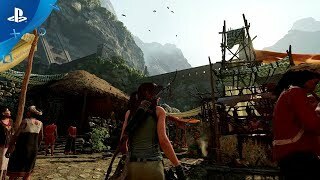 Shadow of the Tomb Raider - Welcome to Paititi: Walkthrough Video | PS4. In the two months since Rise of the Tomb Raider, Lara Croft (Camilla Luddington) and her friend Jonah Maiava (Earl Baylon) have dedicated themselves to stopping the activities of paramilitary organization Trinity. The two track a cell to Cozumel in Mexico that is led by Pedro Dominguez (Carlos Leal), the head of Trinity's High Council. 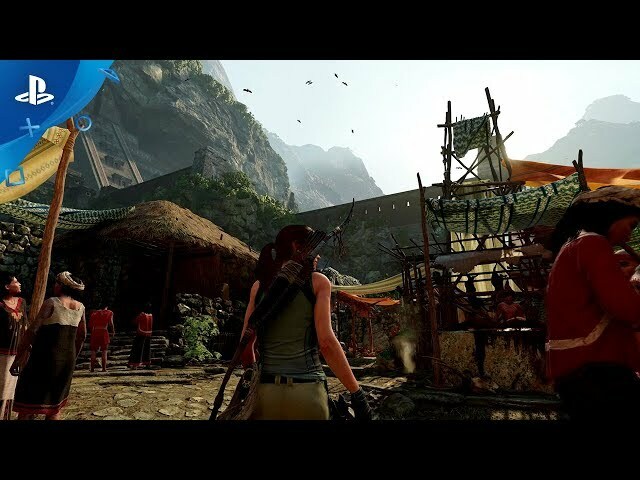 Slipping inside nearby tombs being excavated by Trinity, Lara discovers a temple containing the Dagger of Chak Chel and references to a hidden city. Murals adorning the walls allude to the Silver Box of Chak Chel and warn of "the Cleansing", a Mayan apocalypse culminating in a permanent solar eclipse. Lara ignores the warnings and takes the Dagger to prevent Trinity from acquiring it. Dominguez catches her and reveals that by taking the Dagger, Lara has triggered the Cleansing. He takes the Dagger, intending to unite it with the Box to stop the Cleansing and use the power it grants him to remake the world in his image. Lara and Jonah escape a tsunami that destroys Cozumel and foreshadows the coming apocalypse. Despite growing tensions between them over her actions, Lara and Jonah pursue Dominguez into the Amazon. Their plane crashes in the Peruvian jungle during the second cataclysm - a massive storm - and the two find their way to Paititi, the hidden city shown in the murals. Exploring local tombs reveals that piercing the Box with the Dagger will grant the user the power of the god Kukulkan, which must be used to halt the Cleansing. Lara witnesses Trinity soldiers being slaughtered by strange humanoid monsters. When Lara saves a boy named Etzli (Kamran Lucas), she and Jonah are brought into Paititi by his mother Unuratu (Patricia Velásquez), queen of the city. Lara sees Dominguez is the leader of a cult dedicated to Kukulkan and Unuratu reveals he is her brother-in-law Amaru, who was taken by Trinity as a child and raised to complete the ritual and reshape the world in their image. Unuratu directs Lara to the Box, but Lara finds it is missing. Believing the cult already has the Box, Lara, and Unuratu attempt to steal it, but Unuratu is captured. Lara also reencounters the creatures and learns they are the Yaaxil, guardians of the Box. Shadow of the Tomb Raider was scheduled to be released by Square-Enix on September 12, 2018, on September 14, 2018 and in 2019. It is a single-player video game. This video game is available for the following platforms: Microsoft Windows, PlayStation 4, Xbox One, macOS and Linux. The game had received M rating and PEGI 18 rating.